Lose weight and gain lean muscle! 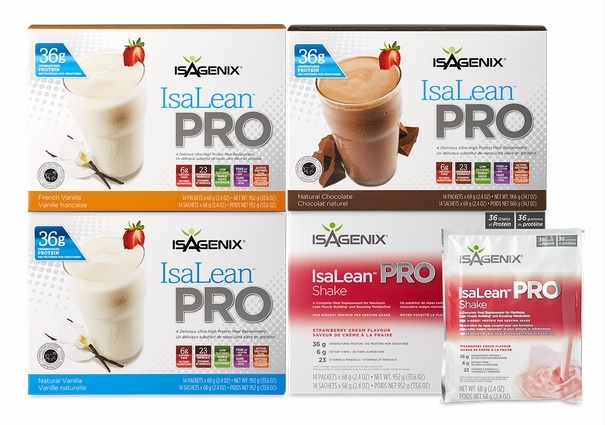 Isagenix IsaLean Pro Shakes are great for athletes, active people who want to gain muscle and for those trying to break through weight-loss plateaus, lose stubborn belly or harmful visceral fat. Each Isagenix IsaLean Pro Shake contains a high concentration of branched-chain amino acids to naturally boost muscle growth and maintenance while helping speed post-workout recovery. 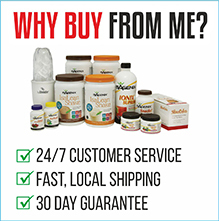 How Do I Buy Isagenix IsaLean Pro Shakes in Canada? RECOMMENDED: Sign up and Save (CA$55.95 for box of 14 sachets) — Sign up to the Isagenix autoship program to become eligible to have access to the cheapest wholesale prices. At the end of the checkout process you’ll be asked to set up your next month’s order. Autoship can be cancelled at any time, even after you take advantage of the cheaper prices on your first order! There are no locked in contracts of any sort. Plus, this gives you the opportunity to participate in the Isagenix business (this is 100% optional). Full Retail (CA$74.60 for box of 14 sachets) — If you prefer not to sign up and take advantage of the lower pricing, you can purchase the products at full retail price. This is not recommended as you can cancel autoship at any time. Your first order with IsaAxcess is covered by a product money back guarantee within 30 days. If you’re not completely satisfied with your Canadian Isagenix IsaLean Pro Shakes, send them back to Isagenix Canada for a refund! I love isalean pro because i do a lot of weight training and helps me get that extra protein my body needs to help me build lean muscle mass.